These pictures were taken at what should have been a framing inspection. 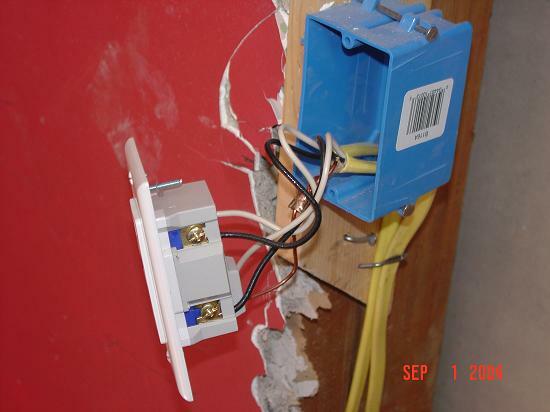 There was not supposed to be any electrical work done under the permit, which was issued for a kitchen remodel. BTW all this was live at the time. Isn't duct tape the greatest? 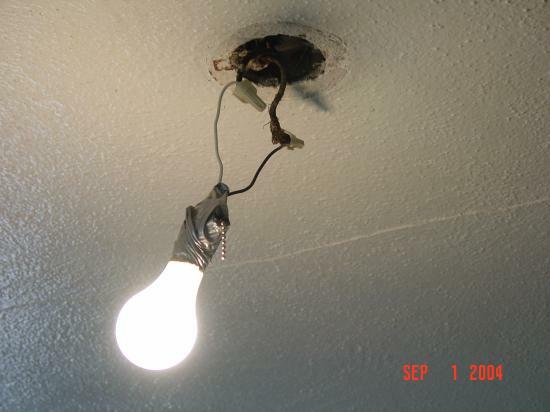 Maybe the outlet and light were left open for your rough inspection, though as a rule I feel I get more favorable inspections if I don't electrocute the inspector. I don't think that they had this in mind when they said that the white conductor could be used as a hot to the line side of a switch. Is it legal to have one wire colour of wire going into a wirenut and another leaving it?. Sure in the second pic, that's in a box behind a light fitting, but.....hmmm. 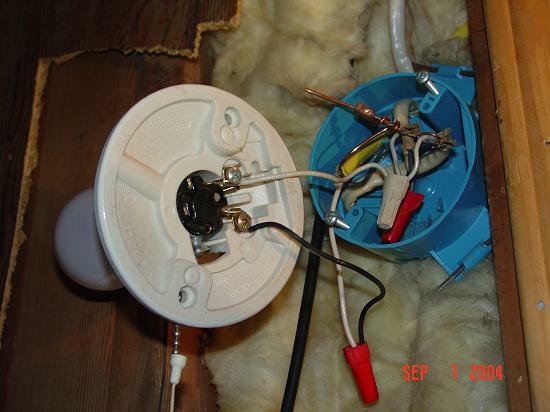 If you trace the leads back you will find that the fixture is only connected to the white conductors of the romex in the box. And yes, it did light up when the pull switch was operated. The "keyless" in pic #2 is a little more appealing than the crud in pic #3. I'm curious if it was turned down or if the homeowners are facing any kind of legal recourse now for this. In addition to the obvious violations the owner had far exceeded the limits of his permit. A stop work order was issued until qualified contrators were brought in.